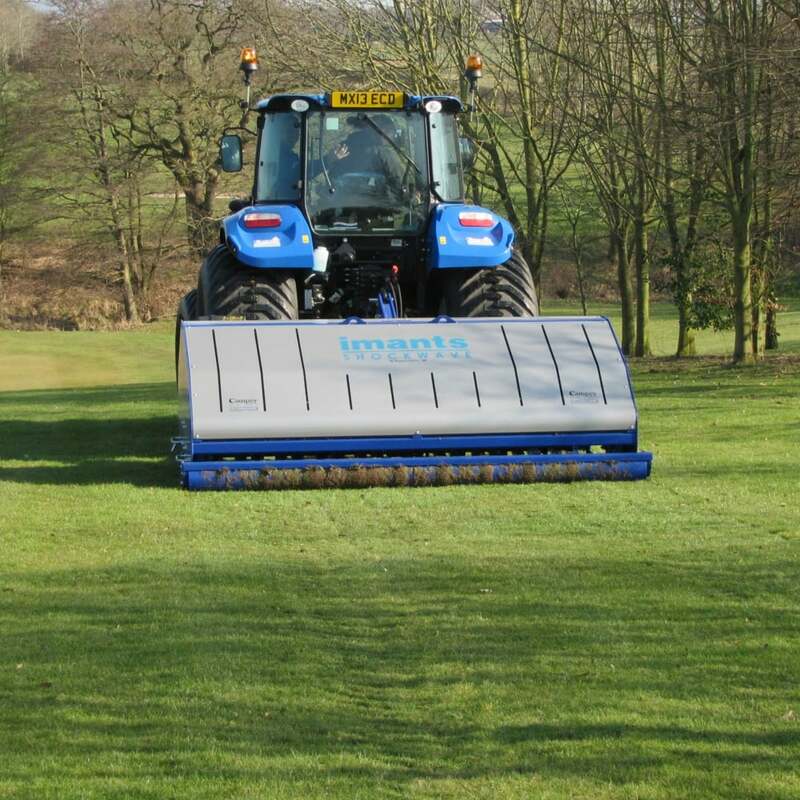 The Imants ShockWave is a heavy duty linear decompactor, designed to revitalise heavy wear areas by relieving soil compaction, improving aeration and removing surface water. The 220 / 275 models are heavy-duty design suitable for contractors and uses thicker 15mm knives. It also features hydraulic depth adjustment from tractor to smooth rear roller. As with all ShockWave models, it features a no-chains direct drive, ‘sealed for life’ bearings & mechanical drive overload protection provided by a torque limiter PTO.